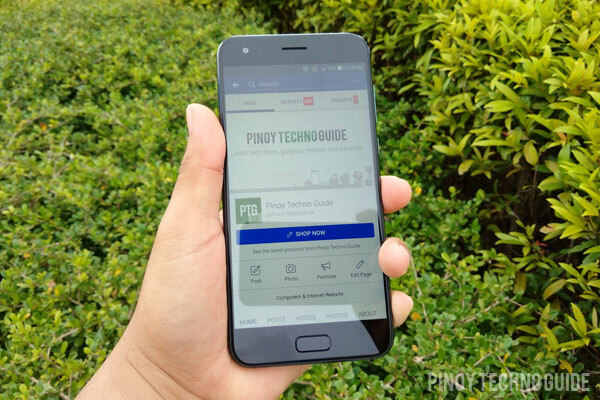 Hands on with the ASUS Zenfone 4 smartphone. 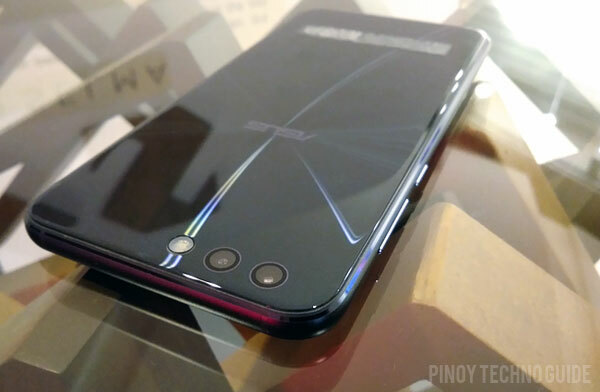 The ASUS Zenfone 4 has come a long way since its first iteration back in 2012. It now targets the top midrange segment with an official price of ₱28,995.00. It comes with a metal and glass sandwich design, plenty of processing power, dual cameras and several connectivity options. 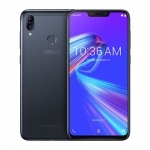 I’ve been using the ASUS Zenfone 4 with 6GB RAM for the past couple of weeks and here are my experiences. Holding the ASUS Zenfone 4 clearly invokes the feeling of a premium device. This is largely thanks to the Gorilla Glass back plate similar to the iPhone 8 and Samsung Galaxy S8. While it does attract more fingerprint marks than metal clad phones, the fully flat design with no camera bumps is underrated. I also liked how ASUS kept their eye catchy concentric circles design behind the glass. There’s a free silicone case too for extra protection. The concentric embelishment on the back is more pronounced IRL. On the front, the 5.5-inch full HD display is crisp and brilliant. It doesn’t have the trendy 18:9 aspect ratio but the bezels are slim enough for a comfortable grip even for people with small hands like me. I’m not a fan of very bright screens but when the need arises, the ASUS Zenfone 4 is usuable even under direct sunlight. The auto brightness function also works well when transitioning from a dark to bright environment. 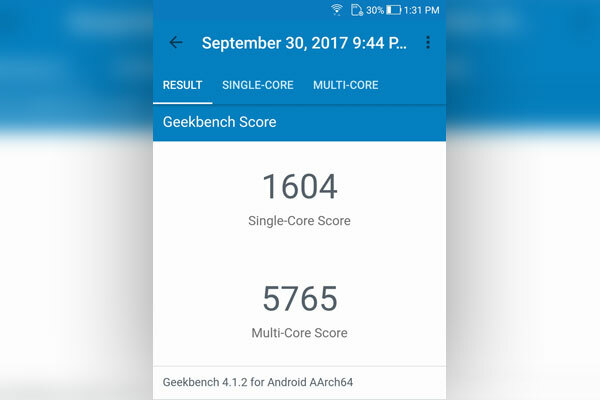 Geekbench score of the ASUS Zenfone 4 smartphone. 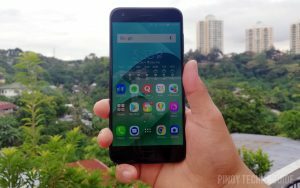 Despite having just the Snapdragon 660 chipset, the ASUS Zenfone 4 still performs like a flagship smartphone in terms of performance. I tried playing several resource heavy games and the device showed virtually no lags or dropped frames. Switching between different apps is smooth too. I still clear up the recent apps occasionally though specially when playing a game to achieve a better performance. Thankfully, there’s a floating game toolbar that makes several functions accessible while playing a game like speed boost, recording and search (searching for cheats?). The ASUS Zenfone 4 boasts having the flagship Sony IMX362 image sensor in a dual camera setup. It has a 1/2.55” sensor size, 1.4µm individual pixel size, an f/1.8 aperture and optical image stabilization! Hence, it delivers great photos like the sample shots above. Bokeh effect in Portrait Mode is also decent. I had fun capturing pictures around using the phone. Low light shots are pretty divisive though. It can take that nice fountain shot below but has a hard time showing the details in light and dark areas at the same time. Yes, it has auto HDR but it doesn’t do much. A software update from ASUS should be issued to improve the camera’s dynamic range. Selfie with the ASUS Zenfone 4. Meanwhile, the front camera is surprisingly good. It’s not a dual camera setup like the ASUS Zenfone 4 Selfie but it does its job alright. It’s already a wide angle snapper so there’s no need to switch to another camera for a group selfie. 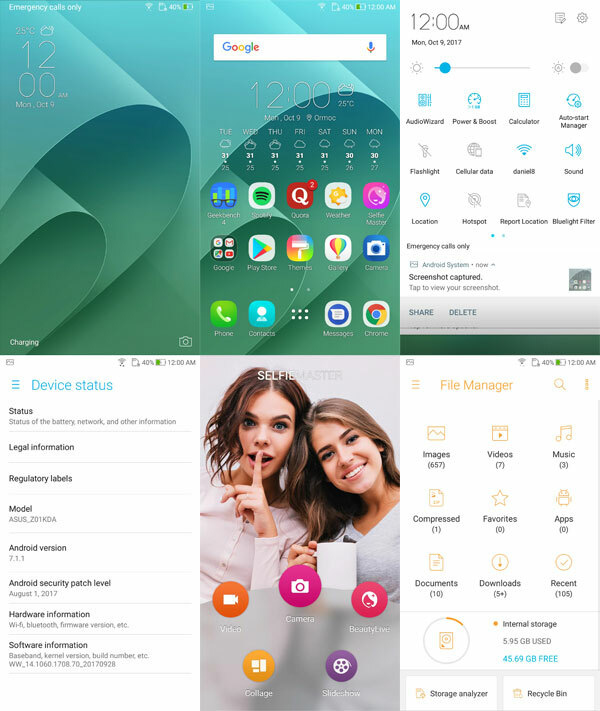 Screenshots of the ASUS Zenfone 4 user interface. 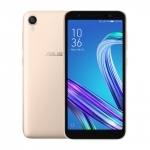 All models of the ASUS Zenfone 4 series of smartphones come with the ZenUI 4.0. It’s cleaner than previous versions of the software with very few pre-installed apps aside from those from Google. Transitions and animations appear smooth and fluid. If you’re not a fan of Zen UI, you can always install the Google Now Launcher and enjoy the stock Android Nougat look. 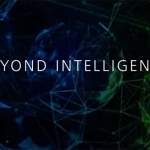 Nevertheless, there are useful features of ASUS’ software. It has the Selfie Master app that improves selfies, enables beautification in livestreams and creates slideshows or collages. Using mobile data on the ASUS Zenfone 4 is alright. It sometimes indicates a 4G+ network which results in faster mobile internet speed. There’s no 4G only option but it can still provide a decent mobile internet connectivity even on a 3G connection. Moreover, other wireless connectivity features work well. For example, sending files though Bluetooth is swift especially if it’s done with another smartphone that has Bluetooth 5.0 too. 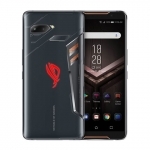 Four generations later, ASUS still produces great smartphones! 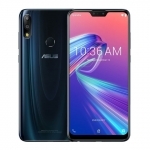 The ASUS Zenfone 4 is equipped with a 3300mAh battery which is non-removable. It scored 6 hours in our selfie battery test. This is done by letting the device take a selfie once every minute until it shuts down. In my daily usage, the phone can last the entire day. That’s from around 8 am to 6 pm with constant 4G data on, hotspot on, heavy social media usage and occasional gaming. On minimal usage with just relying on Wi-Fi to access the internet, it can survive until the next day on a single charge! Charging the Zenfone 4 is also a breeze. Thanks to the bundled USB Type-C fast charger and native fast charging support by its chipset, 0 to 100% battery life can be achieved in a little less than one and a half hours. Special thanks to Widget City for providing the review unit. 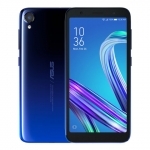 The ASUS Zenfone 4 is available at the Widget City online shop for a discounted price of ₱27,500.00 only with a free Smart LTE SIM. The ASUS Zenfone 4 delivers great performance, premium design and good photography in a competitive market segment.